NZD/JPY This one was pretty cut and dry. Man, we are talking about weak/strong here. Again, the top line is my signal/initial stop loss line. The bright green line is where I got in at. I first moved my stop loss to break even. Then on down (darker colors). I used previous days highs for the stop losses into profit. And the lowest blue line is where I jumped out of all the trades. Again…not good, but that’s what happened. As we will see on all of the JPY pairs, this past week was a weaker one for the Yen. But, in this case, the NZD, is quite weak itself. Just look at how high they can only get up to. Not all that much. And the last day there, well, that’s telling. So, what would’ve happened if I went strickly with the plan? I would’ve gotten stopped out at about +40 pips or $7,8 . Instead it was $17. Look, I know this is gonna be like an art-form trying to learn how to navigate my stops/take profit lines. If you see, it’s possible that if I was lazy enough to keep it away a little bit more, I could’ve prevented getting stopped out and another entry. Cause now it sure looks like it wants to continue. Just like with the USD. Btw…they all look pretty much the same, as we will see. Well, I see the high from last week as being major. I seriously don’t think that will be broken. And if it does, then I don’t want to be in. This is 78. 40 .I will make that my initial stop loss, with not losing more than $5.00. I got to thinking. When am I going to get in? Should I wait to see what happens at the open? Should I wait a day? Well, nope. If I can afford to lose $5.00, I would rather lose that than to miss out on the opportunities that may lie ahead. Plus the fact that I think that last strong red candle is meaningful. If price just nothing but climbs up and hits it, it deserves to take my fin. And as always, what I need to remember is I’m playing defensively. My first actions are to move the stop loss to break even. Come to think about it…all of my problems that happened this week…ARE GOOD PROBLEMS!!! At least I’m still in the green. I haven’t been talking about how much I have lost, because I surely have not lost anything. That’s still an evil to think that all that profit showing in my account was mine. Well, I guess we have to talk ugly. It ended up that way anyway. I ended up taking 3 trades with this pair. The first one was good. But the subsequent ones were not. Actually I remember when I took the 2nd trade. I thought I might see it differently, but my broker shows other trades all by themselves. Ok, now I know. Live and learn. 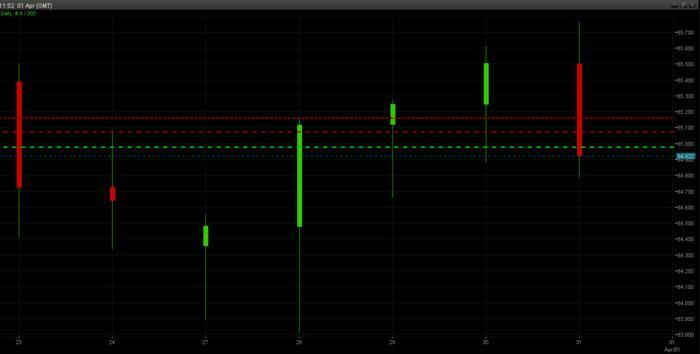 Again, the bright green is where I got in at, with my stop loss above. I kept moving it down. And the last one (at 85.08) just simply got stopped out. I can live with that. Hindsight tells me that all of the stops were broken and I would’ve gotten stopped out, except for the original signal/stop line. Ok. That’s nice to know. I guess. What can this tell me? Anything? Well, maybe I did a better job at coming up with that original line better than I did with the USD/JPY. Cause remember that one got shot out of the sky. But not this one. Anyways…I understand that this sort of thing is always gonna happen. I’ll never be always right. And I’ll never be always wrong. Now, this is where I went wrong. When price went down this far. I put in another 1k trade, there, at the green line. OK. I admit it. That was stupid. Did I think that price will just continue on down forever? I mean, this is what a brand new trader does. I wasn’t thinking. I guess I was caught up in how much it was diving. Ok, maybe I got greedy. What else would explain my putting on more size to a runaway train? I did think that 1k wasn’t a whole lot of size to begin with. So that did contribute to the reason. Anyway, what I want to remember is this. Kind of like a principle. Man…I keep thinking of planning on making another mind map folder, called PRINCIPLES. I want to collect and keep abreast of all my principles. Those I should not break. And are like cardinal sins. Anyway, I should make one saying that price is gonna want to retreat back up. Or at least prepare myself for that action. Look, I do know that it happens. That’s the reason for the whole Fibonacci retracement stuff. People wait for those. I know that stuff. But, even that is always never guaranteed to happen. Anyway, my point is I just was not thinking about that when I placed that trade. And what possessed me to take this trade? Another AUD/JPY. I jumped in when price was climbing, thinking it had enough. 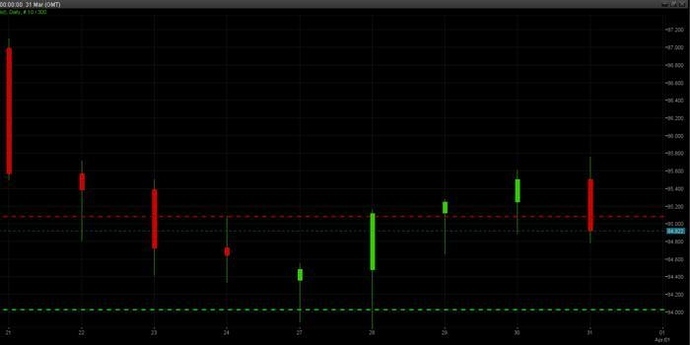 Put in a stop loss, which is the top most red line. But, then the lower red line is where I jumped out of everything. Even this trade. This is another result of the problem of watching the market and making moves because of that evil. So, this problem will be rectified. I’m gonna move my signal line down from 86.00 to 85.76 (the high from last week). I’ll use that, and get in with losing no more than $5.00. Same as the NZD/JPY. Another thing I’m realizing, is that I do prefer to trade the Comms against the Yen, than a Major to the Yen. Remember this one. At the top left corner, when I fell asleep that Friday? I woke up, first time experiencing a break of my signal line strategy. Then jumped in at the green line. Then Monday, Tuesday came. I hung in there. I even remember when price just about wanted to catch my stop loss. For some reason I was cool as a cucumber at that point. So, price just dove after that. Then dummy me tried to put in a 50 pip trailing stop. That was at the 4th candle from the left. Well, learned a lesson from that. No more t.s’s. That red line ended up being wherever 50 pips was since I entered it. And then I was out. I’ll catch up with you later Journal. Oh, how about one more pic. Well, my broker is not open at the moment, so I’ll show the results of my 9 trades. In total. Well it was a good week. And you want to know why? Cause I am finally getting to the bottom of my strategy. I think I know why also. Remember my newly established rule? Yep, I am not watching the market anymore. I can tell it makes a difference in my thinking and actions. I’m staying within my time frame trading. So it was last Sun night, when the market opens, and I had plans on getting in on some trades. There’s a good reason too! Because the sentiment has definitely been risk-off and no one can deny it. Well you know what that means…I should be in the market. I had plans. But. My new rule is to only look at the end of day. Was Sun night open the end of day? Nope. Well, that was going through my head at the time. But now when I think about it, it is actually the end of day Friday. Same thing. So anyway. I was struggling with wanting to get in and this emotional desire. I realized it. And that is precisely not what I want to become, an emotional trader. Well, at least, not to be trading because of my emotions. Regardless, I chose not to trade, and also I chose not to look at the market either. This is called being in touch with one’s self. It was a good lesson. I know I’m going to learn more about my trading as I get these principles down. So therefore, that freed me up this week for some other realizing. Cause when I’m not watching the market, I’m able to solidify my trading system more and more. (What else am I going to do right?) So, I’m going to get into that in a bit. But, interestingly, what happened was come Monday night…guess what. I take a look at the end of day prices. Sure enough. Down, down, down, everything goes. Risk off is on the move again. I looked at what I wanted to do. Yep. Man. I would’ve been golden. But… I know the drill. Hindsight, hindsight, hindsight. Woulda…Coulda…Shoulda. That’s getting old. So what. I stuck to wanting to prove a point to myself. And that’s what I did. There will be other opportunities. Plus the month is young. So, let’s just move on. And I did. More importantly, I solidified my strategy this week. I had a revelation. And it hit me pretty hard. I’m very excited about this. This is something that has been with me (in my mind) for such a long time. And now I’m ready to implement it. Here we go. Big picture. Principles. -If it’s trending, I’m in it. -If it’s not trending, I’m not in it. -I trade defensively. Meaning my take profits will be at the point where it’s not trending anymore. So, this is what I want to come true. And in order for that to happen, I had to dissect a trend. (BTW…I have done this so many times in the past, but this was gonna be the last time) I found that there are only a couple of very important components to a trend. I thought about researching a trend, but no. It can be subjective, but some things are undeniable about it. This is what I got. -Every trend has a beginning. -You have swing highs and swing lows. -Every trend has an end. Now, I trade the JPY. So I will be dealing with trends going down. Therefore all I will be concerned with is the swing highs. That will be my stop losses. Because if it breaks the latest swing high, then it will be considered not trending anymore. The only hard part is going to be how to get in. It’s possible to get in on a trend and lose quite a bit. Like the worst possible scenario is getting in at the support line (bottom) and it goes all the way up to the resistance line and then continues up, which breaks the trend, and won’t be anymore. That’s losing a lot of money. Now, the best possible scenario is getting in at the top of a retracement, because that would be the closest point to where it breaks the trend, if it went bad. And if it’s a good trade, then it will go down all the way to the support line, and to then break through it, would be so ideal. Ok, so my first point is this. Getting in at a good point in the trend is the hardest part. My second point is this. The rest of the trade is easy. If it continues to trend I will make money. The steeper the trend, the more money. And if more legs in the trend, then more money. All I will have to do is change my stop losses to the latest swing highs. And that, of course, will be after the fact. I believe long trends happen on the higher time frames. From the daily on up. Also, I wondered about how to compound. This, I believe, happens by the fact of trading the other JPY pairs. But, I’m gonna take this aspect slow for now. I have to experience being in trends that have multiple legs to them first. Cause it seems plausible that if a trend is moving into another leg, then I could just start over with the smallest size again. And all I would lose is that particular trade if it went bad. It would be separate than the first one. But I’m not going to think about that yet, honestly. I need to get comfortable with being in trades that are trending first. This is what I want to see happen now. If I’m in a trade, it will be trending. And I will only be getting out of it if it goes to not trending anymore. I want to take all the bumps and bruises that go along with being in a trend. And the market will be what bumps me out. NOT ME!!! See, I have never traded this way. I have always been the the reason why I got out of a trade. But what I want is the market to be the deciding factor. I think the market is smarter than me. And I need to rely on that fact. The market does trend. I don’t know about you, but all I see on the daily and higher time frames are some really big trends. That tells me that the market does and will trend. That means money. Not a loss. Sure there are the times after a long trend that it goes back and forth for a time, only then to begin on another trend. So, in the end, I believe, the probabilities favor a trend. That’s the edge I’m playing. And I’m not talking about every pair out there. I’m talking about the 7 JPY pairs. Daily, Weekly, Monthly time frames. The 3 Comms out weigh the other 4, in my book also. I am getting really excited about this. Because I’m going to prove that these principles are true. I have to mention this. If there’s one quote that was ever said here on BabyPips that stuck in my mind, that made such an impression to how I want to trade, it was this. From Mastergunner. Been a long time ago, but he said this in his thread. “If it’s trending, I’m in it”. Ok, so that really isn’t earth shattering. But, it actually shook my world. And now, I’m gonna make that a reality in my trading. All I want to do is prove that I can be successful with this strategy. And eventually this is what I want to be true. Whatever JPY pair is trending, I am in it. Meaning, all of them that is trending I’m in with. But, that’s gonna take some time to achieve. I need more money in the bank, even to have the smallest position size on each one. 1K is the smallest I can go right now. And that’s too big for me to go even 3 or 4 pairs now. But guess what? I’m going to buck up some more to my account. I’m planning on adding another $200. That will give me a little bit more to play with. Ok Journal. I got to run. I’m gonna come back. With the plan that I will embark on this week. Yep, your buddy Mike here. So, it’s looking good for me to finally get some typing done this weekend. You know I love to type. And not only that, I love to put all things into perspective. And that’s the plan this weekend. I should have plenty of time for it. I just feel like talking about many different things, that I’ve been wanting to lately. Well, I guess I’m gonna have to talk about my trades later. My broker has the system maintenance update going on now. I want to show you the running totals when I talk about the trades. So, I’ll save that for later. Not to spoil anything, but things are looking very good for me! And I need to tell you Journal…boy…I have made huge strides by implementing my newly found rule. Checking what’s going on in the market at the end of day. Only. That, in itself, has changed me. It has slowed me down, big time. And doesn’t it only make sense? I’m trading swing style. Meaning, what price does in between what happens in a day just does not concern me. That would be concerning to a day trader. Also, I can feel the emotional struggle, hopes/wishing/rooting , have all vanished. I don’t have to deal with that anymore. Cause I just took that possibility off the table. Easy as that. See, and all of that was just something I’ve been doing since the beginning. I mean, I love the market! It’s interesting! It all became a habit for me to know what’s going on. I surely didn’t think that was a bad thing. Who would have thought? Well, ok, it’s not a bad thing in itself. No. It’s just like anything. Like when we come home from work. What’s the first thing we do? Turn on the t.v. and watch the news, during dinner. It’s interesting stuff! But…when the possibility is there for me to take action due to those swings of price, therefore I shouldn’t even be expose to it anymore. It kind of reminds me of someone who goes to AA. After they get sober, do you think it’s a good idea to offer them a drink, say if you went out to dinner together? No way. That was a big problem for them at one time. Big problems require big measures to be taken afterwards. So, for me, as an addict to the market, …I guess this rule is the only solution. But, you know, I have to back this up a little. Cause this rule originates from a principle. And that principle is this. I believe in the meaning of the daily time frame. It’s beginning price and end price being the most important information. Along with that principle, is the principle of trading within your time frame. Mine is swing trading, days to weeks. Therefore nothing shorter than a day is of any relevance to me. Needless to say, those are some good points. But another point to be made is, that I haven’t established a concrete, formidable trading plan yet. Well, one that I’m completely satisfied with anyway. And this rule established and obeyed has opened my eyes to how I should be trading. And what got me there in the first place is believing in trading by principles. Not by a specific methodology. I think there’s a difference. I don’t know, maybe it could be true that principles should precede a methodology. Or even that a true methodology derives from principles. What else did I want to talk about? I remember now. This has been bugging me more and more as I have been progressing along nicely. My system is really simple. If it’s (JPY pairs) trending, I’m in it. If it’s not trending, I’m not in it. And since it’s so simple, I figured I could find an easy way to keep track of when it’s trending or not. At first, I was trying to mind map it. Uhhhhh…no…That didn’t work out. But I did come up with something. This brought me back to my Excel days. Man…I had so many tables and charts, it was unbelievable. But now, I got the table. This is going to track my seven pairs. It will be an on going thing. I will be able to see when a trend starts and ends. And also this will help me with keeping the strategy. As I have said, I am going to prove that being in a trend from beginning to end will be profitable, and that’s my edge. I’m sure I have a lot of work ahead of me in refining the entries and exits. So, this is the table I will be using. Let me explain. It’s all obvious. I’m keeping track of all 7 JPY pairs. The top 4 are the major pairs, and the last 3 are the commodity pairs. I’m keeping track of the monthly, weekly, and daily trends. If it’s green, the JPY is trending high. If it’s red, the JPY is not trending high. So, in each day, I can see in which time frame if the JPY is trending or not. The only other colored rectangle is yellow. That means I got in the trade at that time. And am staying in it, until it’s not green anymore. It will be red. That’s when I will get out. Probably will make it another yellow rectangle. So, you can see that I am in the CHF/JPY trade. Also the 3 commodity pairs. And they are all on the daily time frame. One of these days I will get in on the longer time frames. Like for instance, look at the CHF/JPY pair. I happened to get in on that trade the very day that they turned trending high on the weekly time frame. I thought about it. Should I automatically make it trending on the weekly time frame, now in hindsight? Well, that wasn’t the original plan. So, I’m gonna keep it on the daily time frame. At the top left, we have USD/JPY. So, I started the time table to begin on March 15th. That’s the first time the JPY started to trend high against the USD, on the daily time frame. Look down the GBP/JPY. The JPY started to trend high against the Pound on Feb 24th. So, there’s perspective to see against all of the other currencies. And how about the time frames. On the monthly, the JPY has been trending high for such a long time, across the board. But, on the weekly, the Yen has only gotten back into trending high recently. Mind you that will change after every 5 days. This past week was the first week that they are trending high against everyone on all time frames. So, needless to say, the Yen has been very strong lately. But why haven’t I gotten in on the other 3 pairs? Well, first off, I’m still at the beginning of the entire strategy. And it requires an easing into it. Another reason is because I’m not playing with a whole lot of money. I did explain that even if I went in with only 1k on everyone, that would be too high a margin taken up. Maybe not enough even. Also the timing has to be right. I don’t want to get in on a trade when it’s going to retrace immediately. It’s tough right now because they are trending so strongly and I haven’t seen a good retracement. Yeah…like I did a few weeks ago, and got so scared, moved up my stop losses, got stopped out, jumped out of everything. That all was such a stupid mistake. But, I made rules since then, and solidified my exits. Live and Learn. Now is the time to have such a table as this, because I can (1) keep track of when it’s trending and (2) compare my trades to the trends. Sure, it’s easy now when there’s a strong trend happening, but I know that there will come a time when it’s time for ranging, and fake outs happen. That’s when I have to learn how to stay out of the market. You know…it was only a few weeks ago that I was in on mostly every pair. If I would’ve only stayed in… But, from now on, this is how I trade. I am convicted, that no matter what, in the end, the trend will be profitable, on these time frames. So, all this stuff brought me back to some really interesting stuff here on BabyPips. I touched on it last time. Well, I’m going to come back with it. This is (was) the source of my entire trending knowledge. So, I have all my ducks in a row now. This is, when I think about it, my roots. These things that are gonna be mentioned is what hit me so hard. It is my truth. You know, there’s really nothing new out there. Everyone has their own individual style. And it’s all nothing but a little bit of here and there. But now, I’m going to show you where I’ve picked up my truths from. I’ll start from the beginning and move chronologically. This is all from Mastergunners ‘Forex Portfolio’ thread. Price movement has to be respected. It is extremely volatile, and when you try to contain it, you’ll find the angst of unnecessarily triggering losses. You’ll never hear me complain that I’m being stop hunted. Ever. Furthermore, I trade price action. I don’t use instruments to guess which direction price is going to move. I simply move in the direction of price. While that sounds so simple, it really isn’t. I as well am no fortune teller, and though I enter into the overall direction of price, price still does what it does and trades do turn against me. That’s right, I never ever set a take profit target. There would be no way I would be able to let a trend run it’s course if I were to sit there and pull out of a trade after an arbitrary amount of pips. When a trend comes to an end, it shows in price action. And that’s when I will enter a stop loss, locking in some pips and giving price an opportunity to continue on the path I want it to go. I got news for you. The market doesn’t care what your trading plan is. You can add up all the math you want and it won’t make a lick of difference. You don’t control the market and you never will. Whether you aim for 20 pips a day, or limit yourself to five trades a week, you are only creating an atmosphere where you are limiting your potential. Your goal should be one thing, and one thing only. And that is to maintain an edge in the market. For if you have an edge, the results will be self evident. I don’t, and certainly the market, doesn’t care what your goal is. I care about what you did. For what you say you can do, what you add up in your excel sheet, what your calculator computes doesn’t mean a thing until the deal is done. Your trading methodology will dictate what you get out of the market. You don’t have a say in it. So get over it. 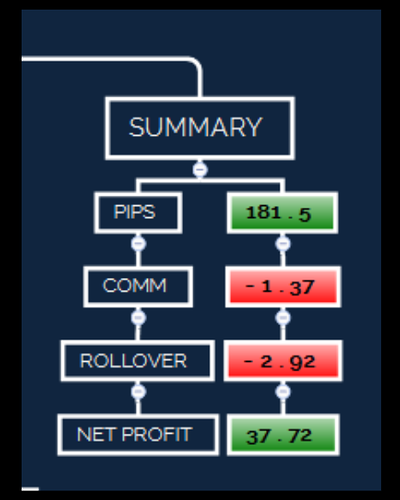 My methodology on average reaps me a little over 60 pips a trade. So knowing that wouldn’t I want to swing the bat as many times as possible? I’m not going to say, okay, I’m just going to swing twice and that’s it. Makes no sense. I want to trade as often as I can given what my methodology will output. So quit dreaming. Forget adding up the dollars that aren’t there. Focus on developing your edge. And when you have it, use it to exploit the market as often and as profitably as you can. Ok Journal. Now, isn’t that just priceless? I mean, I can just see what Mastergunner is really saying. He has taken a step back from the in and out, day trading scenario and focused on one thing only. That’s riding out the trends. Any of them, and, in fact, all of them. This is a methodology. It has been said over and over again. Meaning it’s not a specific trading strategy. And what I see here is principles. He’s riding out longer term trends. It is really that simple. He feels so strongly about his method that he feels it’s necessary to not contain it to just one pair. It’s an edge. And he will use it on any pair that is trending. That is another confirmation to me that on the daily time frame and above that there are long lasting trends that do occur. So…you get the idea. And here’s some of his wisdom. The following comments aren’t necessarily directed at Raj, as he seems to have things under control. Rather, these comments are directed to any newcomers to this thread who might be attempting to use the MG99 methodology, but — instead of achieving dramatic profits — are experiencing unacceptably large losses. This thread presents a powerful methodology, the MG99 Portfolio Methodology, which can supercharge the trading results of almost any swing trader who is already consistently profitable. If you are not already successful placing individual swing trades, one at a time — do not count on this methodology to somehow magically transform you into a successful swing trader. In other words, you can’t blindly toss a bunch of bad swing trades into a portfolio, and expect a few winners to compensate for all the losers. This is not a shotgun approach to trade selection. Instead, this methodology will simply amplify what you are already doing. 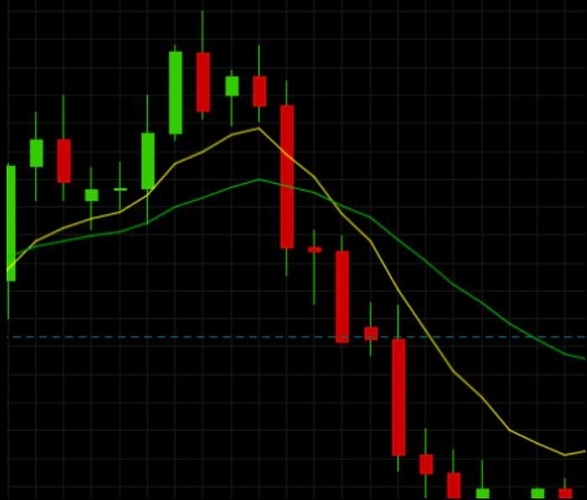 If you are already swing trading successfully, this methodology will accelerate your winnings. If you can achieve overall profitability making five, or ten, or twenty consecutive swing trades, then this portfolio methodology offers you a way to trade all five, or ten, or twenty positions simultaneously — multiplying your profitability — without creating intolerable overall risk. On the other hand, if you are an unsuccessful swing trader — heading for an ultimate crash and burn — this methodology will simply ensure that you crash and burn sooner, and more dramatically. So, before adding the MG99 Portfolio Methodology to your trading strategy, make sure your trading strategy is profitable over the long term. 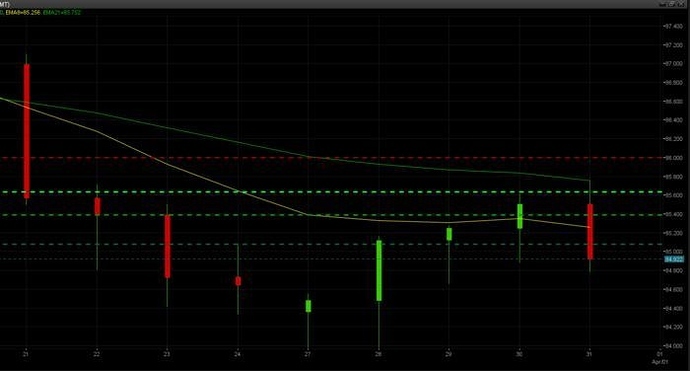 If your swing trading is not yet consistently profitable, week after week, and month after month — without this methodology — then, before you consider adding this methodology to your current trading strategy, your first task is to develop your swing trading skills. I recommend that you spend some serious study time examining the swing trading strategies detailed here in the Show me the money! [Swing Trading] forum, and in the Free Forex Trading Systems forum. There are some good strategies outlined in those two forums, and you should be able to find one that fits your preferred way of trading. 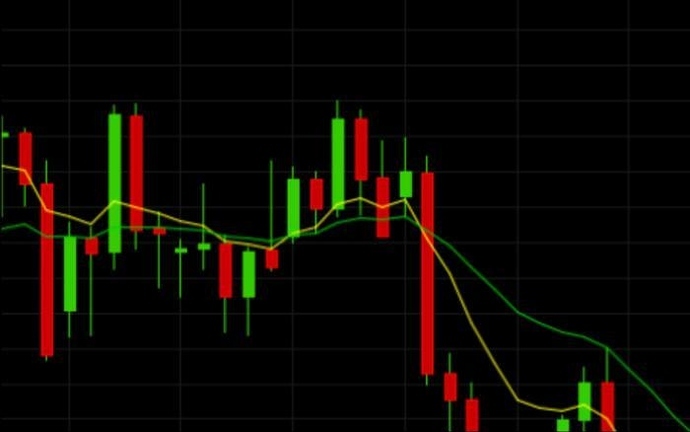 The very first step in any successful swing trading strategy — and in the MG99 methodology — is to identify trends (price swings) which you can trade. If you’re having trouble with this basic first step, check out The 3 Duck’s Trading System. That system offers you a simple, easy, highly-effective method for identifying trade-able trends. The Three Ducks method can be applied to any style of trading, but it is presented specifically for swing traders. The MG99 Portfolio Methodology is a powerful tool, which can do good things in the right hands. But, it can do a lot of harm in a short period of time in the wrong hands. So,make sure you are a competent swing trader, before you try to apply it. Actually everything he says should be highlighted. In simplified terms, the methodology involves identifying and entering a valid trend, and holding your position for as long as the trend remains valid. Obviously, this requires a solid understanding of trend-trading, including successful strategies for (1) identifying a trend, (2) entering in the direction of the trend, and (3) identifying the end of the trend. In the Mastergunner Portfolio Methodology, the end of the trend is the basic exit signal. Mastergunner has not specified rules for identifying trends; instead, he has left it to each trader to use his/her own preferred method of trend identification. There are many ways to identify a trend, and entire books have been written on that subject. I’m not going to attempt a review of those methods. You can study trend-trading on your own time. I will tell you that my preferred method involves simple trend-lines and trend-channels, and that I define a breakdown of the trend as a retracement (of a certain size) out of the trend-channel. The retracement which triggers an exit (for me) is the close of a daily candle below an up-channel, or above a down-channel, by more than 38.2% of the channel range. For example, if an up-channel has a range of 200 pips between channel boundaries, then the close of a daily candle more than 76.4 pips below the lower channel boundary signals an exit of the position. Why 38.2%? Because it’s an easy percentage to drop onto a chart using a Fibonacci tool, and it seems to work. None of the above is meant as a recommendation for you; it’s merely an example. Develop your own ways of identifying trends, and identifying when they collapse. A number of traders on this thread have introduced the idea of adding stop-losses and profit-targets to this methodology. And that can definitely be done successfully. But, it represents a different trading concept from the one outlined by Mastergunner; and, if you go that route, you need to understand that you are trading a variation of the original methodology. Well, there it is Journal. Hopefully you can understand why I subscribe to this methodology. In my mind, it’s all about the trend. These 2 monsters have made that point. And now, my job for me, is that I want to prove it to myself. You know, sometimes in life, there are real golden nuggets that drop into your lap. You just have to be aware of them. And capitalize on them as best as you can. So, where am I at? I guess I will just throw out some bottom lines. My account is riding in the positive. Yeah, I have 4 trades running. And you can see there the unrealized profit account balance (equity balance). Sure, it’s up there. But that really doesn’t mean much, cause I surely am not going to cash on out of everything now. Honestly, what is going through my mind is that things are going pretty good. In fact, you know what? I haven’t even moved up my stop losses to break even yet. *(See, I am changed from before, because I remember that was all I was consumed with, 'where’s my stop loss…hurry up…protect the account,… and even how about locking in some kind of profits '. But, technically speaking, my next move is to wait for the next swing high. Look, I understand that there’s not necessarily always a swing high. I mean, we could be seeing a complete turn around and head north from here. Then that would mean that it’s not trending anymore. And that would mean the end of the trend. And inevitability my trades. I’m sure the very next day that I see price shooting close to my break evens, then I will adjust. But, what I really am doing here with my trading is this in a nut shell. I will prove that being in a trend from beginning (as best as can) to the end will end up profitable. In the long run. This is my edge, and I will stick to it. You have to remember that I did not start these trades from the beginning. I have been searching for my conviction. Yeah, I came close to the realization that I have now, but it was just a bit late from what was going on in the market. The JPY was, has been, on a roll since March. But…it’s ok…I have the rest of my life to prove this. You don’t need to be a genius to figure out that the JPY has been trending high for a good while now. See, as the years go by, I’m sure I’ll get to the point where I will eventually be getting in pretty close to the beginning. Oh…don’t make me …Ok…I’m going to. Let’s talk about what’s been going on on the monthly charts. Who’s been trending for a couple years now? Yeah, I know, the last half of last year till the beginning of this year was a good bit of risk-on happening. Which is not good for the Yen. But, looking like we’re back on the long trend again. Well, I did mention it before that it could’ve been a relatively short retracement in order to get a boost for breaking up the long Yen trend. Well, I guess it could still happen, but, it seems like a continuation of the long term trend. Which if turns out to be true, guess what, we could be at just the beginning. You know what they say…sell on the rises (for going south). Well, I’m running out of time. Well, it’s Monday morning. This was not such a good weekend for me. Well, not much time, because (you know how this comes around every month) I had to work on Sat. And next thing you know, it’s off to work again. But, like I always do, need to look at the bright side of things, come oooooooooooooooon Friday!! Yep, 3 day weekend coming up for me. I can’t wait. So, what’s been going on? Well, I really didn’t have a whole lot. Until last night. At the open. Well, let’s back it up a little. See, my broker just does not open until a couple hours before the open. Only then can I see what my account looks like. I can’t on Friday, cause by the time I get home from work and check, it’s down, for system maintenance. So, all weekend I’m in the dark about my account. All I have is Netdania. That’s where I have all my charts. At least I can see where things ended up at. And I can do some strategizing for the coming week. So. Here we are. Sunday night. I’m checking my account. It’s about 4 something. And I’m not sure exactly when the market opens. Between daylight savings time and my new broker, I haven’t found out. But, I am getting close, because of what I’m about to tell you. Yeah, ok, that’s nice, so, it’s like 4. I can see what everything looks like on the account, but the market is not rolling yet. It’s like an unraveling. It surely is not business as usual. Like the only thing I can trade is copper. And the charts seem to be changing from time to time. All this was going on between 4 and 5. Then very shortly after 5oclock. I got pretty shocked. Yep. Looks like it’s time to learn something here. We had a gap this weekend. And it wasn’t good for me. In fact, as I was looking at things coming to life, my trades were being closed out. Man, I was like, what’s going on here? I knew there had to be a reason. But, I had a plan in place and all I was about to do was move some stops. Oh, and add on a position to CHF/JPY. But…nnnnnnnope. All plans out the door. Like I said, this needs to be a learning lesson. Oh, I remember opening another trade, back on Wednesday night. The EUR/JPY. And then I checked it Thursday night. It was looking real good for me, cause it just turned the bend on down. Thursday’s candle was red. It was a good call I thought, afterwards even. Anyway, I took a pic of my account balance before the market officially opened. See, I’m thinking about you Journal. I wanted to get all my ducks in a row. I even took a pic of my trades. There you can see. The Lot P/l column. Against the CHF I was up 116 pips. CAD up 109 pips. AUD up 93. I was looking pretty good. Well, it didn’t end up so good. So, I was looking around. What can I do? According to the plan, all I can do was go with the USD/JPY. Cause they were still below my support level by only 16 pips. Hey, it fit. If this was the end of a big move, retracement, then it was my only shot. I calculated out that I wouldn’t mind losing $7. So I went with it. Well, it didn’t take long to see that that was a loser. Take a look. And look at the time. Only 4 minutes it was open for. You can also see my other 3 trades that got stopped out. The NZD, CHF, and the EUR. Those GBP’s was such a mistake. Man…I wanted to talk about them also. But never got around to it. What a mistake. I even took pic’s to explain them. Ok. Anyway. Wow. What happened to the EUR? Well, anyone who trades live knows about slippage. And that has to be what happened! Man…what a lesson. There’s nothing worse than being stuck at the open when price went wayyyy past my stop loss. I mean, I can understand. The broker opens up, sees price gapped way far, and then closes out my trade. What can he do? That’s the game. I understand. Actually, that’s business. Well, all I can do is learn from this. I’m all not that too upset. Believe me, I understand the market can go wild. Oh…I remember…I had to check the news. And yep, it was because of the French elections. This was round one. It was all about the EUR. They moved the market. See, they are considered a risk-on currency. And that’s the opposite of what I want. The JPY is a risk-off currency. And things went risky. So after reading up and learning the importance of their elections, (man, I’m such a dummy for not doing so earlier) I understand ‘why’ the market moved the way it did. Live and Learn. Now I think I will start paying more attention to what’s abroad. And guess what I have learned, Journal? Well, without looking, what I remember is that this election is similar to our US election. So, what I want is to see is this woman LePen to win. She’s like a carbon copy of Trump. So, I hope she takes it. Hey…I voted for Trump. If I was over there, I would be voting for her also. And that would bode well for my JPY, cause all money would be flowing to risk-off, safe havens. Well, all of this is not over until I think May 6th or 7th. The good news is, well at the time last night, was I still had 2 trades still in. The AUD/JPY, and the CAD/JPY. I have a feeling I’m gonna lose to the AUD. My CAD one had quite a bit of room to go till that was taken out. And since I don’t look at the market until end of day, I couldn’t tell you Journal what’s been happening all through Asia. And now London opened up recently. I doesn’t matter anyway, for my trading. I have to see what things end up as. That is what’s important to my trading. I have rules for a reason. All I would be doing is getting in the way because of being impatient. Another thing I have been wanting to tell you Journal. I did start out my account with only a $100. But I did add another $200. See, I’ve been making some good money at my full time job. Quite a bit extra. And hey, why not? Any chance I get, I’m pouring more in. Like for instance, I had to go away for a class a week ago. It’s training we have to keep up on. But, I had to buck up for some of the expenses. Then afterwards, I get reimbursed. So, I have a $123.00 check I’m wanting to put in. I couldn’t put it in the bank on Sat. since I had to work. Oh well, I’ll put it in on Fri. Ok, that’s nice. My point is that what I’m doing is building up my accounts. I have the trading account, and my business account. One way or the other, I’m gonna build them up. And hopefully my trading will be the side that puts in more, on that particular account. We’ll see what my accounts look like at the end of the month, which is only after this week. I think I have another pic to shoot out. Yeah, that’s the blood bath. Those white lines is where I bought the trades. The 3 pairs on the bottom I was in. The top right. And the EUR, second one from the top left. I just hope it will end up back to trending by the end of the week. Guess what day it is? It’s the Friday after I have worked the previous Saturday. Man…I’ve been looking forward to this. I’m so happy right now. Well, it’s nice and early at the moment. Had my first cup of coffee already. And now…what? Well, it’s gonna be me and you. I don’t care. I just like typing. In fact, I have thought about it. This is kind of like me being a talker. But, in typing fashion, instead of using voice. See, I’m not really a talker. In fact, I don’t particularly like talkers out there. Whenever I notice that, I’ll be like …"Yep, that guy is a talker. Geeeez O Man!! " In fact, I think I even mentioned it to you Journal, that I’m not a people person. I’ve even said that I hate people. Well, multiple times, to my co workers at my day job. I don’t know. But I do know one thing. I like typing. And I like getting down my thoughts in here. It definitely is a release thing. Just like the talkers out there. All they need to do is talk, whether you listen or not, and they will feel better. But, do they like to listen? Yeah…No way…Their talkers, not listeners. In fact, they are pretty selfish, egocentric type of people. I don’t know, maybe I am egocentric in the same way. I come in here, spill the beans, and go away happy. Hmm. Ok. So be it. Yep. That’s nice. So. What’s going on today you ask? Well, it’s Friday. Not only that. It’s the last day of the month. And here I am. This will be the first Friday, that I’ve been off, during which time that my new rule is in effect. The once a day look at the market, at the end of day. Look. This has definitely straightened out my trading, big time! I mean, finally, my trading time frame matches the time spent looking at the market. Anymore time spent looking, only ends up with nonsense emotions (happiness, sadness, wishful rooting on, anguish etc…). Anyway, yeah, it’s a good rule. But. Today. I pretty much have the entire day. To. Do. Nothing! I can day trade today. It is possible. But, my strategy is not conducive to that style. Also, this is not a regular thing that I can do. So, do you mean that I’m gonna be off today and not once take a look at the market? Well, I need to rationalize this out. BTW…I have not looked yet. Asia has ended. London is about 2 hours underway now. I need a plan today. Since this is the last day of the month, I do want some kind of exception. End of month means something. At the end of this day, what will happen is that I will have an account balance. This is going to be put in one of my tables, my mind map, with the objective of having a balance that is continually growing every month. Now, I’m not in any danger of it being smaller than last months balance. Cause I put in. Nothing wrong with that. Oh, I just remembered, I have a $123.00 check that I have to get into my bank today. And I’m gonna throw in more into the trading account also. At least that amount, maybe even more. Oh. My point is this. First off, should I look at the market today? Also, I think I want to end my trades. Maybe even to go by a month by month basis. See, I remember last month, at the end of March, somehow I was able to end my trades and start afresh April 3rd. Honestly I don’t remember how it happened. But, I liked the rule. And so, today will only be the second time I had to deal with the end of the month scenario. Oh, I remember now! Last month. Man…that’s when disaster took place. I wasn’t with my newly found trading rules. I jumped on out of everything. And then I was not going to trade until the beginning of April. Yeah man…well…I have a formidable system now. Times have changed. So…what is my system, you ask. If it’s trending, I’m in it. If it isn’t, I’m not in it. Riding out JPY trends from the beginning to the end. It’s that simple. I have my stops in place, which are the levels where it would be considered not trending anymore. So then…what would be the reason for me to be looking at the market today? I don’t want to take profit early, just to get back in a few days later. That would be stupid. What about if I’m on the losing train. I have good reason to think I just might be. See, remember back on Sunday, thanks to the French, I about lost all of my trades. Risk-on showed up. In a nut shell, the Major pairs to the JPY have changed trends. Bad for me. But the Comms to the JPY have not changed trends. All is still going good with those 3, that I’m in with. I also wonder about the end of month play. I look back and can’t help think that what happened last Sunday was the profit taking that could be construed as being the end of month squaring up of accounts. And then what? Will the trend then continue? Meaning the risk-on play will turn back to the risk-off trend that has been in play since like March. I hope so. That will spell good for me. On the other hand, what if that action was the catalyst for a turning point. I mean, it was big enough and bad enough to do it. We haven’t seen a jump or gap like that in a while. In my mind, both scenarios seem plausible. Although, the Comms have not been making any headway lately. The risk-on play really has not belonged to them. Surely it has with the EUR and the GBP, and the CHF of course was following the EUR, not the safe haven status it’s known for. Anyway, that’s all nice. The more I think about it, the more I’m thinking that I just should keep with my strategy. I don’t need to do anything. If any of my trends are broken, then my stops will activate. Everything is set up. And only time will tell. Which trend will take place. So Journal, that looks like I won’t be looking at the market today. Uhhhhh…I think so. How about I can look, get some kind of idea of what’s going on, like what Asia did last night, and what’s London doing, the same or different? And what will US do? Follow whatever is going on? Man…it has to be one way or the other. I think either everyone is still taking on risk, or taking profits on that risk taking move this week. So, then what would I do? Promise to do nothing? Yeah, like I can see my ship going down and not do anything about it? That wouldn’t be likely. I would do something. Well, I can wait till later on in the US session, say when London quits. That would be around 11 am my time. Then what. I still shouldn’t be making any moves. Yeah. It would be solely for curiosity sake. And I would want to take some pics before the broker quits for the weekend. That is something I want to do. Need some monthly data, weekly. And my account figures. Ok Journal. No problem. I’ll keep busy with other stuff. And I’ll come back to you later on, say around lunch time, and show you all what I do. Ok. So are you ready? I’ve been thinking about this. We should have some fun now. First off, I had a good morning. Spent some time with my youngest son. He just turned 18 on the 26th. So, we had a nice breakfast, and then went to the store. Yep. Got him whatever he wanted. It turned out to be a skate board. He’s been a skater for some years now. Geeez. He was so little way back, when he first started out. But, you know how it is, the boards break or get lost. And he was in between boards now. So, perfect opportunity, … skate board, birthday, all done in one shot. So, he’s happy. Man…I used to take him to the skate park so much when he was little. Thank goodness I don’t have to do that anymore. What we should have done was a little driving. Used to do that a whole lot also, on my manual transmission car. Teaching him that was fun. But we’re still working on getting him his license. That’s a long story. Anyway. I guess he still has the kid in him (with the skateboard deal anyway). Ok. Yes. That is nice. Now. How about some work. What I want to do now is show you exactly what I do when I look at the market. And I mean, second by second. See, I haven’t seen anything what’s going on, well, since last night, the market close of Thursday. Right now, it’s 2:23 pm Friday afternoon. London has been done for a few hours now. And all we have is a couple hours till the entire week, and month is over. Then my broker will be shut down till Sun night an hour or so before the open. So. Here we go. This is what I’m going to do. I’m gonna open up my NetDania (charting software) and immediately throw out what it looks like. Of course all will be in the daily candles. Then I want to immediately talk about it. I want to talk about it at the same time as possible as I’m thinking about it. With you Journal! For as honest and open as I’m with myself, I’m with you also. So, believe me when I say that we are going to do this together, as much as possible. My feelings. My thoughts. My plans. Etc… Then I’m going to open up my broker and will be able to take action there. I’ll tell you my before thoughts right now. What am I expecting? Well, like every night, it’s always a surprise. Kind of like Christmas morning. I don’t know what to expect. But, because of the plan, there isn’t a whole lot that I can do anyway. Either I got stopped out and that was taken care of already, or things are going good, in which case it still will be another days away until I would move my stops anyway. That usually takes a few weeks. But anyway, it’s always interesting. I kind of think that the end of the month now should be interesting. Hey, you know, either the trend is continuing with the Comms, or their not. The other 4 pairs haven’t been. They have really shot up way past my support levels. And I’m sure they won’t come back anywhere close, cause that would take a good bit of time to. I guess it’s all gonna be about the Comms now, AUD,NZD,CAD. I hope they don’t end up following suit to the others. Let’s take a look together, shall we? As soon as I take this pic, I will post it, then start typing, noting all of my thoughts about everything, in order. Here we go. Well, I got the three open trades down there. You see the white lines? That’s where I went in with them. And the red lines above is the stop losses. And of course that’s where I think that it will not be considered trending anymore. Looks like I’m losing on the AUD/JPY. Have the other 2 as in the positive. Nothing real exciting. Man…not much going on with those. I am glad about the CAD (bottom row, third one over from the left). They are not going up. It kind of looks like it’s just a matter of time till it drops on out to another leg. Oh, I just remembered something about the NZD (bottom row, second in). That white line is not where I entered it (I never changed that). That white line is where my stop loss is. I entered that trade last night, so the entry would be the bottom of the candle (cause it’s red which would be the close). So, looks like that didn’t move much today at all. Ok. Let me blow these three up more and show you more clearly. Yeah, sorry about that. The NZD is not drawn right. The red lines above (all three of them) are my lines where they will not be trending anymore. And they should be my stop losses also. The other 2 are correct though. Ok. So. Not a whole lot going on there. Let’s look at the big picture. Oh, before I go on, I need to explain what those lines all mean. The red lines in every chart means that’s my stop loss/support level broken, on the DAILY time frame. So, if it goes above that, then it (JPY) won’t be trending high anymore. I won’t be in those. Now, the blue lines are the same thing, but on the weekly time frames. Below the blue means trending high for the JPY on weekly. And the purple line is the monthly time frame. Below that means trending high. Now, look at the GBP. Dog gone it. This week, they have broken the daily, weekly, and looks like the monthly time frame trends. Man…This has got to mean something. Let me blow this up for you. The majors. Ok. So, I was mistaken. The GBP took a little over a week an a half to break all three trends. But man…that’s something huh? So, I mean, it’s pretty cut and dry for me. Every night when I open up the charts and take a look, all I’m really doing is looking at where price is in conjunction with the red lines (daily time frame). And of course I’m wanting price to be below those red lines. Ok. So, let me open up my broker and let’s take a look at some not-so-good numbers. I guess I ain’t doing all that bad. This has just reminded me of something that I want to do. I did go to the bank…and now before everything closes down, I want to deposit $100 more into the account. See, one way or the other, I will be building up my accounts. I deposited a total of $300. into the trading account. So, you can see that I did lose a good bit, up to this point. But regardless, if I’m making extra at my day job, then that’s gonna be used for my future business. I will win…one way or the other. I’m going to come back after I do this now. Well, after 3 times, I can’t. They’re upgrading the credit card portal site now. I don’t know if they will be done before the weekend is over. Probably not. But, oh well. That will be my plan. Put in another $100. So, what are we going to type…I mean, talk about now? Well, I’m excited about this book I ordered. I think it’s a common one out there, on the subject of psychology. It’s called "Trading Psychology 2.0 " By Brett N. Steenbarger. And guess where I found that name at? Yep, our very own B.P’s writer Dr. Pipslow. Man do I love reading his columns every morning. He mentioned that name recently, as being his favorite author on the subject. Hey, I know, how about this? Why don’t Dr. Pipslow write a book. Man…well, I would buy it. So, anyway, I’m looking forward to this book. It’s coming on Sunday. That gets me to thinking. I have not been reading, or buying for that matter, any books on trading lately. Ever since I started the program last Nov., books have been so far on the back burner. But now, I’m finding that I am not that terribly occupied with stuff. I mean, the strategy is in place. And all I’m really doing is going over mind map after mind map. Geeez. I think I’m going to get back into reading. I do have many, many books that I have not gotten to the bottom of. Do you remember when I was shooting out a mind map of every chapter on this one particular book? Man, that was a daunting task. You want to get to the bottom of something? Mind Map out every chapter. You will know the stuff then. Look. I do have a lot of work to do on my business. And I can’t, shouldn’t, be side stepping it any longer. For instance, I’ve been wanting to do a ‘one page’ business plan, on my business. I mean, who has a business and does not have a business plan somewhere? I kind of think that’s pretty important. You have to have a vision, a detailed scope and plan of where the business is going. Right? Surely I do, but it’s not down on paper, or put in a frame for myself. So, yeah, I’ve but putting that aside, and am ashamed of myself for slacking on it. What else. Is bothering me. Ohhhhhhhhh…oh man Journal…boy do I have something to tell you. Are you sitting down??? Guess who contacted me lately. Like a couple weeks ago. Yep. The big man himself. The Godfather of running a trading business. I don’t even want to mention his name. I’m so embarrassed. He will yell at me. I know, it’s only been about 3 months now. But, yep, Terry emailed me. He’s been asking how I was doing. I think he wants to know what I’ve been up to. He asked in a short note how’s my demo going. Uhhhhh… Demo? Well, man, I don’t think I will be able to stand up to him. I view him as all knowing. Mr. Judgement Day. Boy…if he knew what I was doing…man…it’s over. I would get cut up in so many small pieces. See, I will be put to shreds. But, I think I have a good system. And it’s a simple one. JPY trending? I’m in. Not? I’m not. Lines drawn? Yep. I get in just underneath that line. When do I get out? When it’s not trending anymore. Plus I’m operating correctly in my time frame. One look a day. I’m operating by principles. Whatever I do, it should be backed up by a belief. Not an indicator. I’m not banking on what happened in the past to happen in the future. Well, only by the fact of why trends work. They have in the past, and most probably will in the future. See, I like big picture. I just can’t help it. I’m made that way. And I’m sorry, but given the fact that I will be trading longer term (daily and above time frames), I’m not going to demo this first. You know how many years it will take me to realize that this will work? All I have to do is look back at history and see that being in a trend will work. I don’t think I will get much of an argument out of that. Well, honestly, not really. I don’t like the idea of being regimented. Therefore I augmented it. I’ve been pretty much stuck there at the values part lately. But no, I haven’t gone around it in any consistent manner. In the meantime, what I want to do is start back up reading some books. This new one should catch me on fire. And also I want to mind map the chapters out. Ok Journal. Mama will be home soon. Then it’s out we go. Always on Friday night after work, to a nice restaurant. Thanks for listening. Again. As always! Let’s talk. I got a lot on my mind. And have some changes to do. Yeah, you know, that’s the first thing that hits me too, just thinking of making more changes to my trading. It’s depressing. But, I had this past week to step back, settle down, get over the emotions, and start putting all things into perspective. Why you ask? Are you serious? Do you know what’s going on in the market? Of course I know. I just wanted you to articulate the reason. Ok fine. This is it. The ship has come back to the harbor. No more risk-off scenario happening now. That means my time in the market is just about done. It’s risk-on. So, after I went through some disappointing feelings, and came out the other end ok, now is the time to look back at what I want, and what I did, all in the name of a trading strategy. See, I’m not too terribly upset about the $ results. Honestly. I’m more concerned about whether I followed my strategy, and whether it’s effective or not. So, here we go. The very first thing I need to realize is that when I started this strategy, the ship was already out to sea. I did get close to knowing exactly what I want. So therefore, it really isn’t that fair, to me, to be able to show you whether I followed it to the T or not. I’m definitely chalking it up as progress. It’s the forward method of testing circumstance. This is what I did find out about what I want. (You should know by now Journal). If it’s trending, I want to be in it. That is, JPY trending strong. And while the ship was out to sea I also realized how to trade according to the time frame I’m using. DAILY. (So…I’m calling those 2 things principles). Ok, so, not only to be in a trade that’s trending, but from the beginning to the end. I want to look at that principle. [B]I WANT TO BE IN ANY/ALL JPY PAIRS THAT ARE TRENDING HIGH FROM THE BEGINNING TO THE END [/B]. That will be my underlying principle. (I’m not sure if the word [I]principle[/I] is correct here, but I’m going to use it anyway). So, this is what I want to be able to fall back on and see if this is true. Whether or not I will make money, how much money, how effective this strategy is, or any other concoction to ask…all I care about is making that statement true. That is what will make me happy. If I can trade this way, I will be satisfied. And I believe this will make me some money. Now, how do I make this happen? This is the USD/JPY. Daily chart. Now, all of these pairs that I’m going to show you I took the pic from around the beginning of the year. See, last Nov. started a major risk-on party (thanks to Trump). Then after Jan. we had a consolidation happening. Then you can see (on this one) the risk-off started at the middle of March and went to the end of April. Now, the way I used to show [I]when[/I] a trend started was using fractals, or in other words support/resistance levels. Look. On Mar 21st, that big red candle. That was when I thought the trend started. I remember making it at 112.00 . And it would end at 111.00 . So, what do I have, hindsight here? Well, that’s only 100 pips of profit (of a trade). Is this true? Look at it. The top really starts at about 115.00. Surely no one knows when it starts until afterwards. That’s common knowledge. How about the end. It went down to around 108, 109. Sure, in hindsight, the actual trend extended from 115 to 108. That’s 700 pips of a trend. But…thank God I kept my 2 indicators on the charts. Those are the 8 & 21 EMA’s. Now…look at them. Hold onto that thought. Let’s look at the others. I’m starting to lose faith in fractals. And when I think about it, S/R levels also. Almost the same thing. Oh, when I’m saying fractals I mean this. Higher highs, and lower lows. The swings. The swing low at about the beginning of March really screwed things up, cause to break lower than that, the trend was on it’s way for a long time already!! And to then only trend a little bit more. Let’s move on. The CHF/JPY. Daily chart. They move pretty close to the EUR. Same thing. Trended in Feb. Then a move higher, only to drop out far down. Well, what do I get out of this? Well, I’m not trying to spill the beans yet. Just keep in mind the 2 indicators. How about one more, to finish the Majors. The GBP/JPY. Daily chart. It’s the flow of price. I have to tell you. I think those 2 lines give me the flow more than anything. Well, I haven’t done a complete research paper on all indicators that show a trend, but, this is here before my eyes. And I like it. Well, I’m not done here. I will get to the bottom of this. Meaning, what I think is the best way to show me when it’s starting to trend, and when it’s ending. Therefore that would tell me when to get in and get out. Here’s the AUD/JPY. Daily chart. What I can’t help seeing here is the relationship [B]PRICE[/B] (candlesticks) has in comparison with the 2 lines. I mean look, when it’s trending, price really goes away from the yellow (8 EMA line). It’s a no brainer. And eventually it finds it’s way back to the lines. First to meet it, but then to continue. And when it’s at the end, it shows. There is a consolidation period where they all finally meet. It was about a weeks worth of time to get ready to make the change. Now that is pretty. Trend started in the middle of Feb. Price stayed on the outside (pretty much) of the yellow 8 EMA line all the way down. Well, here you caught me before I erased the lines I drew before. Red was the daily, Blue was the weekly, Purple was the monthly, all levels I had drawn. They were drawn for the purpose of if price went above them, then it was not trending anymore, on their respective time frames. All I can say is that it’s embarrassing to me now. I don’t care though. This is all a live and learn game. AND I HAD BETTER LEARN SOMETHING NOW!!! Journal…gloves off now. This is what I’ve been thinking. And I’m gonna give it to you straight. There is 3 components. Price. 8 EMA. 21 EMA. Precisely this. When the yellow line (8) goes below the green line (21). And PRICE is below the yellow. This is what I’m going to consider when it’s trending. And likewise when it’s not, which will be the opposite. When the yellow line crosses over the green line. Is this all earth shattering? No. Nothing new at all. So, what’s the fuss about? Why the gloves off? Well, I guess it is, when compared to fractals. But, you have to look at those charts, when I talk about the [I]when[/I] I am getting in on a trade. Remember, what my aim here is, for a trade. I want to be in on the trend from the beginning to the end. That’s my edge. And now I have determined when the trend is starting. But…this is a very big but…[B]WHEN[/B] do I get in? And [B]WHERE ?[/B]. Let’s look at the USD/JPY. This is when they first started to trend. I blew it up here. Right there in the middle. PRICE blew on down past both lines, right? So, is that considered trending? Well, nope. Not just yet. The yellow line is not below the green. Then the next day comes. Boy, price goes down but comes back up for the close of the day, making it a doji. The yellow line is getting closer to cross over. But it is not yet trending. Then the next day comes and goes. At the end of the day, yep, it happened. NOW it’s considered trending. Yellow below the green. Ok, that’s nice. But take a look at where price is at, for the end of that day. Each of those lines is 25 pips. So, count them up. PRICE is 125 pips below where the yellow line crossed over the green. In real time, this is what I would be looking at. I would be late to the party, by 125 pips! So, what am I going to do? In real time, I would be like, ‘well, it’s trending now, so I’m going to get in’. But, did I get in when it started to trend? Nope. When did it start to trend? Way back up there where the yellow line crossed over the green line. So, the question is…How can I get in at the beginning of the trend when price is moving so fast that I miss it after it crosses? Well, what do I want? I want to be in a trend from the beginning. That means I want it to be where the yellow line crosses the green. But if PRICE has already passed it by, then how can I make the trade start where they cross? I have put a lot of thought already into this. The only way I can do this is by setting up a limit order. I will be concentrating on the green line. That is going to be my goal. [B]THE GREEN LINE[/B]. I have to see it coming. I need to be prepared to have a trade ready to go BEFORE it decides to break. I call it a limit order, but it’s placing a trade before it hits. Not a market order, but the standing order. (Man, I forget what it’s called). Anyway. This would be a sell stop order. Sure, it’s not always going to be easy. Some pairs easier than others. Just look back at some of the others. When those 2 lines are consolidating, then I will be ready and waiting with a trade already set up. Let me shoot out an easier one, theoretically speaking. Here. The AUD/JPY. Daily. And each of the lines is 25 pips apart. Look. You can see before hand that their relatively close. Consolidation happening. Can you imagine if I wait till the lines have crossed? Geeeez. That’s about 100 pips away. Yeah, late to the party again. I don’t want that! I would want to have a trade waiting, at the green line price. And if I can make that happen, talk about getting a good jump on a trade. Man. Well, that’s what I want. And that’s what I am going to try my hardest to make happen. Look, the green line isn’t moving all that much. In the last 3 weeks the green line hasn’t moved more than about 20 pips or so. Is there a reason why I couldn’t have a short trade ready and waiting for a possible trend change on down? Look. I know when real time action comes, it’s a different story. Hindsight is 20/20. Believe me, I understand that. There’s no guarantee that it will even trend down. Well, I do think there’s clues that transpired already. Oh, and another thing. What about a stop loss. I have a feeling that I shouldn’t be using one till things play out. I’m thinking of sacrificing that for the sake of making this event play out. All you have to do is look back to all of the 7 pairs that I put up. Moving forward, I would want a trade to begin where the 2 lines cross, and then where they crossed the opposite for the exit. Well…I’m going to find that out. Maybe the hard way. It all comes back to the 2 questions, for a trade. WHEN and WHERE. My WHEN is gonna be a limit order waiting at the GREEN line. When price breaks it south. The WHERE is gonna be AT the green line. I believe this is going to happen again. I don’t know when of course, but at least I have some time to prepare. Man, I’m hoping for those guys in France to vote LePen. That would be awesome. But, for now, all I’m going to do is be watching the green line. I have to wait till price gets down close to it, because it will be price that moves faster than the yellow line. The Major pairs are so far removed from the green line at the present time. But the Comms, especially the CAD are pretty close. In fact, I think I still am in that trade. CAD/JPY. Ok Journal. I’m going go. I do have other stuff I want to run by you. We’ll see what happens later on today. Ok. I’m not proud. You want to know where I’m at? This is what it looks like presently. Man, I was surprised to see my broker up already. So, yeah, I lost a good bit. But, I’m ok.
Actually, I’ve been thinking about it. I haven’t really proven anything yet. I mean, even up to this point, I haven’t had the absolute complete strategy in place. Sure, it’s been coming together, but nothing to where I can say that I have followed it to a T, because it’s just not completed yet. See, I do believe I have it now. You can say to me, ‘Well, did you get in at the green line, and exit at the other cross over ?’ And also, I don’t have to draw anymore subjective S&R levels. This is a simple plan. It is in line with all my principles. All I have to do is execute now. The bad thing is having to wait till the next time it does. Being on the daily time frame could make it quite some time from now. I have been thinking of some other stuff. I will come back and explain. I’ve been wanting to throw this out there also. There’s nothing more important for me than to reach my goals. I did this awhile ago, but I still have to update it at the end of the month. My money goals. Simply all I want is to have an account balance to grow. It could be a penny more, but as long as it’s more, then I’m happy. Hey, whether it comes from the market or not, it’s going to grow. Oh, and t.a.b. = trading account balance. b.a.b. = business account balance. I’m telling you. One of these days, you ain’t going to believe the figures that will go into there. Ok Journal. I’m not done talking yet. Must sort something out. Here me out. First, as you would remember, I started out, and stuck with so far, wanting to trade short. Remember Terry asking me the million dollar question? So, yeah, that’s been established. Surely this is a far cry than the ‘anchor trade’ that he is talking about. But, to date, I did stick with the JPY. I consider this whole currency as my short trade. Then you have to realize that I’m still metamorphosing. What came next in my core principles is the infamous TREND. You cannot deny that they both are considered stand-alone core principles, within themselves. So what I have, in effect, is 2 principles combined. Therefore you can say that I don’t trade going long (really the only possibilities are one or the other), and I don’t trade ranging conditions (cause that’s the only other possibility than trending). Well, now that I think about it, you can cut up a whole lot of different scenarios to make a trade; breakouts, triangle breakout patterns, overbought/oversold, geeez, yeah, a lot of others. Ok, anyway, there’s a point in there somewhere. My point is this. If, and I know that I’m jumping the gun on this, by chance that this system of trend trading works, then why would I want to wait for and only look at the JPY pairs? I do understand that there is virtue in waiting for and being patient on this one currency. Especially starting out. I do believe in the principle of getting good at one thing before complicating the simple. Trust me, I’m aware of his reasons for the anchor trade. It is all common sense. I’m aware of how difficult the market can be in making consistent profits. He’s talking about boiling it down to the simple, perfecting it, then moving on with experience behind you. It’s called proving yourself worthy, from the ground up. No one can disagree with that, as being the best (most efficient) way to go about it. Ok Journal. Well, I’ve just convinced myself. I guess there really isn’t a better way to go, now that I think about it. Look, I’m not trying to find a better way. But when it comes to such a simple yet effective strategy, I would want to ask why confine it to just one currency? Why would I not want to explore it on any of the others? This is what’s been going through my mind last week when I have seen the breakdown of the Yen. Man…just look at the EUR. Against everyone, except the GBP, they are trending high. Yeah, ever since the French part 1 elections took place. They are on the daily time frame. And now on the weekly also. So, I would ask, why wouldn’t I want to go with the trend there? Believe me, I would show you the charts but don’t feel like it now, it’s pretty massive. But when I see that, it just gets me inside. There’s opportunity just passing me by. But, this is what I know I need to do first. I need to prove to myself that I can accomplish this strategy. I need proof. And this is it in a nutshell. Can I get in, or pretty darn close, when the yellow line crosses over the green line? (That might be hard to do) Can I stay in the trade as long as it is trending? (That won’t be hard to do) And can I get out when the yellow line is about to cross over the green line going up? (I think so) In theory, this seems quite easy. Look, I know hindsight is an evil!! But, all you have to do is look at the past charts. That’s all I see, is these trends! Then…once I perfect this way of getting in and out, I do plan on building upon this. Like adopting it to other currencies. Maybe one at a time. Like for instance, the EUR. I’ve been thinking about them. You know, I am starting to change my mind about which pair exhibits more accurately the risk-on/risk-off play. I always have thought it was the AUD/JPY. And maybe it was, but the market is now changing that, I think. Now, I’m thinking it is more the EUR/JPY. The EUR is known as a risk-on currency. Especially when you think of the EUR/USD. Risk/Safe Haven. Ok Journal, I got to run. Don’t worry, you will know my every move. And looks like I’m starting all over, cause now the only time I will be getting in will be at that particular yellow/green juncture. Of the JPY. It is so nice and early this morning right now, and I have plenty of time to get some real work done. But Journal…the problem is …I haven’t had anything to do lately. I’m starting to lose it. Well, this is what I mean by that. I find myself, way too often, waking up so late most mornings, lately. I haven’t always been like that. But I do realize why. Well, it’s not the way it used to be. I use to have so much work to do, and was always on a mission of some sort. That was the trigger. Every morning I would wake up, and at the first second that I did, I knew that I had some real work needed to be done. I call that the trigger. It was my business. It was the details, problems, or something that needed to be ironed out. Well, outside of the class that I took (now that was getting some real work done), I was always seeming to be stuck on the one and only most important part of my business, my strategy. It’s precisely that, that makes the money for me. At least one that I was satisfied with. That was my trigger. That woke me up, got me out of bed and into the shower fast enough to give me as much time as possible to make some progress on it. It has always been about the strategy. And I remember quite awhile ago I used to run the daily numbers in order to know what happened in the market, in conjunction with my strategy. Boy, that was a daunting task. Talk about doing things the hard way. You would think it was 1980 something, before the evolution of the computer. I know…I can be a dummy sometimes. But, my point is, I had the motivation and drive to wake up at 2:30am every single morning. For about 3 strong years. And the trigger was always the strategy to figure out. Once I had figured it out, it would be the thing that was to work from here on out. Kind of like me going out and finding a real good salesman. One who would work for me, making sale after sale, bringing home the bacon, to me. All the while I’m just reaping the benefits from him. It’s building something to produce something. Especially given the fact that I have to operate on a daily time frame. And that will take days and weeks to play out, for the reward. But, here we are now. I have founded the strategy. And at the present time it has me waiting patiently on the sidelines, for the right time to get back in. In the meantime, it surely seems like I have lost the trigger. That one single thing that tells me, at the very second I wake up and become conscious, that I have some work to do. It is vanishing. I’m aware of it. Times seem to be changing. It’s not what I’ve been used to. And deep down, it’s upsetting to me. Sure, it makes me feel lazy. And look lazy. But, I have to tell you, Mike Wolski and lazy have never been put into a sentence together. I am not. I refuse that to ever be true. I have proven, more than most people, that I can accomplish a task at whatever the cost. Honestly, my name will not be synonymous with lazy. That will be the last thing ever to be written on my gravestone. It is just not me, in all truth. You Journal. I know that I need to talk about something. It’s an extension from my very last post. I want to talk about what’s been going through my mind this entire week. Something is bugging me. And I want to uncover it. Actually, after the fact, I wanted to interject something in the last post. I think it’s very interesting. Here we go. I want to start from the beginning. This is about my strategy. I want to go over it again. I’m coming back to bombard you with visuals on this. Let’s talk in most simplest terms. My strategy is to be in a trade when the yellow line (8 EMA) crosses the (21 EMA). Then stay in it till it crosses back over. On the daily time frame. That’s catching a trend. That’s being in a trend from the beginning to the end. As you know, I have narrowed it down to the JPY. Trending strong. And I can’t get in to prove that yet because we have risk-on happening now in the market. But, at it’s core, it’s the yellow line crossing the green line. It gets to me because it happens all the time, on other currencies. Let’s look at what happened to the EUR lately. Now, given the fact that the JPY is off the map, what am I going to do? Sit there wondering what everybody is doing without even looking? Sure I’m going to venture. And guess what I see? I see huge trends take place. Now, as you see there, the EUR has taken over trending high because of the French elections. All I’m saying is look at yellow and green lines that I have there. I tell ya, I would like to know if there are traders out there who simply get in on the trend and ride it out to the end. Take a closer look. They are not even the strongest currency! The GBP is. Let’s look at their charts. These charts are on the daily time frame. You can clearly see how long they have been trending high against every other currency. Against everyone they have been trending strong since mid March. Only against the JPY (top right) they started later, mid April. It was like they got a head start from all the other currencies, and the Yen was the last one to let go. Only then to continue for another month against everyone still. You know, I have to say that all of this reminds me of something. I’m talking about riding out a trend to the end. This is exactly what MasterGunners thread was all about. This is what I realized last week after I posted. All I did here is figure out a way to determine when I believe the trend begins and ends. All he had, and he did mention it countless times along with Clint Eastwood, was a methodology. In my mind that means it’s based on principle. You ride out the trends on the higher time frames. Also making a portfolio of all the ones that are trending high. Using small position sizing and in as many trends as there are available. That was his principles in a nutshell. That’s being in the market 24/7. All I want to know is, the reasons why cannot I get into a trend, from the beginning and ride it out to the end. More specifically, from when the yellow line crosses over the green line, stay in it, until the back cross over. Look…I’m serious. Literally. I want to know the reasons. This is not complicated whatsoever. I mean, I cannot be the only one that has ever wanted to know these answers. Surely others have come before me and thought this. I don’t know, maybe those who have figured this out are pretty successful by now. Look, I’m always getting closer. And this fine point of getting in at the beginning till the end will be my final mission. If I have to make a science out of it, then so be it. I’m sure there are technicalities to it. For instance, I definitely do believe one major factor of it all is the fact that I’m working on it on the daily time frame. Everybody knows that the higher you go, the more accurate and predictable it gets. I do believe everything gets shaken out during a day, for the most part. This is going to be my final mission Journal. And I tell you, we will get to the bottom of it. I will uncover the questions with you. Why? Why? Why? Can I not get in when they cross? Can I not stay in. Can I not be in from the beginning to the end. This is plastered all over any and every chart. Got to run for now. Be back soon. All I want to know is, the reasons why cannot I get into a trend, from the beginning and ride it out to the end. This is the million dollar question though! If we all knew the answer to this then we’d wake up and make money day-in-day-out. Sounds easy on paper, right? I’ve never put much of a lens over SMA/EMA cross-overs, but then again I trade H1 TFs predominantly - I just can’t see where the leverage can be obtained for myself. An interesting read though, keep it up. Like I said, we’re gonna figure out this together. And see it also! Step by step. So, this is what I got so far. Looking first at the JPY. I’ve been in this trade this week. The only trade, because the Yen has definitely taken a back seat in the field. This is the AUD/JPY. Daily chart. I can’t remember which day, but was kind of early on this past week I got in. Why did I get in? The yellow and green lines are close together. It’s a consolidation happening. We’re coming off of the JPY strong trend. But, price hasn’t gone up far enough to turn the trend. (Unlike the other pairs to the Yen) Price has stayed pretty close to both the 8 & 21 EMA’s. So, you know what I’m going to do, right? Like I’ve been saying. I need to be ready. Oh, I remember my thinking. I made a sell stop limit order right on the green line. That must of been at the open of the week. And price, of course, hit that. I did not put in a stop loss yet. Since I check price at the end of every day, I figure I can always jump on out if it rose to high. Oh, and by the way, I am going south here. Why? Yeah, I know. Well, everyone else has pretty much skyrocketed on up, except the AUD. They have been pretty much subdued lately. Fundamentally speaking. As opposed to the NZD. Now they have shown great strength as of late. Anyway, I’m betting on a trend continuation, after a consolidation. So, that’s why. But, I’m in at the green line. And that is my only function. I don’t know what’s going to happen, but I can tell you, if it decides to break on south, I’m ready for the beginning of the trend. There’s no other way I can see to make this happen. If I’m wrong, then the yellow line will start moving higher than the green, and I will get out. And all I’m doing is watching those 2 lines. They are poised for a breakout soon. And I’ll just show you the others that I’m watching and thinking about. Here’s the daily chart of the Yen to the Majors. All I do is watch price in conjunction to the 2 lines. We have a way to go. It’s the green line that is most important. Yeah sure, price seems to be starting to come on down, but we have a ways to go. So, not much happening here. Let’s look at the rest of the Comms to the Yen. NZD, CAD. You can see where I set a limit order on the NZD (left one). But that was early on in the week. See, that green line continues to move. And the more price moved on up, the higher it went. See, I want to be prepared. And now that price is moving on down, I just might have to move the limit order up closer. Remember, the goal is getting in a trade at the green line. Look, it looks like, on the NZD, that price on Friday has went down and touched the green line, then came back up. Yep, no doubt there. Well, that definitely tells me that I’m getting close. At the open I’m gonna change my open order to that green line price level. Think about it. If price is going to go down below that level, then the yellow line will follow. This is what the beginning of a trend looks like. And I believe all I need to do is have an order ready at the green line. So, that’s the plan. I’m gonna be ready for both the CAD, and the NZD, at the open of the week. You can’t deny that these look like a good possibility. They, in fact all the Comms, printed a doji of a weekly candle. So, as of right now, I’m going to just stay with the JPY pairs. If by chance I see something else similar going on in any of the other pairs, I’ll pipe on in here and we can talk about that also. I really am not wanting to get too spread out. Once I get the hang of this strategy, then I think I will. I can see myself going back to the portfolio methodology, once I can assure myself of being able to get in, stay in, and get out of a trend at the right times. What a week I’ve had. I’m not talking about how much money I’m making either. In fact, I think I lost some. It’s ok. But I tell ya, it’s all about the strategy. I’ve been waiting for this Journal, for some days now. I’ve been wanting to come in here and put out there what happened this past week. Do you remember what my mission is? I told you that I will make this my last mission. It’s finding all of the answers to the question of why cannot I get into the beginning of a trend. At the V. My 8 & 21 EMA crossover. Well, I got to tell ya. This week was full of answers. That’s what I want to do here today. You know…that reminds me also, that I did even make up a mind map on that very subject. It’s called ‘Reasons". Because I’m serious about this. This should be about living and learning, and remembering. So anyway, boy, this week was good! Let’s get started. First off, I’ll go down the path that was good. Let me show you what I did right this week, and then I’ll show you what was not so right. We’ll definitely need to talk about those. Ok, so it all began on Wednesday. End of day. I’ll show you what that looked like. But in the meantime, you need to know that I’ve been preparing. Especially when I see the Comms’ charts. So, yeah, I did have some ‘entry orders’ waiting in the wings. Then comes Wed.
Just look at that will ya!! Who’s your momma now? At the white lines is where my sell stop entry orders took. This is just so dog-gone beautiful! See, that’s what I was waiting for. You never know when price is gonna take off. (Journal, if you’ve been paying attention, this is what I’ve been talking about now) And that was the plan, getting in at the crossover. And that’s what happened here, with all three of them. My entry orders were at the green line (21). (Man, I remember that day. I read some news that there was risk-off happening. Safe havens were being run to. I was so looking forward to seeing the results at the end of that day. Talk about that Christmas morning feeling.) Yep. I am the man. I did it! I got in at where the crossover started. It was all 3 entry orders hitting. And it looks like the trend is starting there also. Do you see how far down price traveled past that crossover? At least a hundred, for all of them. And what are the chances that it will come back up to test that? In my mind, very slim. (That’s why I don’t subscribe to the theory of waiting for a retest. It just doesn’t always happen. A huge dive down usually means a big change). There’s more that happened also. See, I’m not a stranger to the market. I know the other possibilities that could occur. And sure enough, those took place also. That’s what I want to talk about now, going forward. This is exactly what I want. Live and Learn time coming up. Ok. So. What happened to the majors, on that day? This is what I was thinking beforehand. I thought that there was plenty of room for something like this to happen, and I will have time to place an entry order before any kind of crossover. I did not have any entry orders open on those 4 yet. So, before I looked, I was like, ‘please (price) don’t be too much down’…‘tell me I’m not late to the party’. Let’s take a look at what it looked like. Ok, but to finish that pair out, what I did at that time was put in an entry order up there at the green line. I don’t know, maybe price can come on back up and hit it. I doubt it. But I put on the order anyway. You can see it there at the dotted line. Oh well. That’s that. So, let’s look at the other 3, there. What am I looking at now? The EUR, and the CHF look like possibilities. (the 2nd & 4th ones) You can see the dotted lines on their charts. That’s where I put entry orders at. This is called ‘preparing’. Price just might be on it’s way down, and if I have any chance of getting in at the crossovers, then it would be at the green line. Ok so, there you have it. Their set. And how about the GBP? (3rd one over) Man…price is sitting right on the line! What did I do? Nothing. I don’t know…kind of scared of the Pound. I’ve gotten burned by them in the past. So I was not in a rush to get in there. I did nothing. Ok, let’s see what the next day turned out to be, shall we. This is the Majors only. Look what happened!! On the right one. CHF/JPY. Remember I had a dotted line there? At the green line? Which was my entry order? (See previous chart above) So, my rules are, I don’t automatically put in a stop loss at the beginning. I wait on that, to see how it plays out. So, I’m sitting here, being in the trade, in the red at this point. Look at the other 2 (USD, EUR). No problem with the USD. They just didn’t go back up far enough for anything to hit. But…just look at the EUR. Thank the Lord above. Boy did they come on down so very close to the entry order (green line) and did an about-face. Phew!!! Well, I didn’t get that lucky with the CHF. Price came down, took me (more like grabbed me by the throat) and took me into the red. So now, I’m sitting here, seeing this. What do I do? Well, the only real thing to do is get out. Is it trending? Or even remotely looking like a possibility? Nope. So, I’m out. I killed it. Lost a bit. Like around $11.00. That is the lowest amount I could have anyway. Cause that’s a 1k size, which is the smallest amount I’m able to anyway. (My broker doesn’t allow anything lower) I’m fine with that. Look, this is the game. All I can do here is learn something. Did I do anything wrong? Well, not really. But, I do see something that I’m going to implement. Since the spread between the yellow line and the green line is pretty sizeable, that should tell me that I need to put in a stop loss. And make the stop loss the yellow line. If I would’ve done that, sure, I would of lost less. Less than I did, anyway. I chalk it up as the cost of being prepared for a trend change. Just look over at the USD. I MISSED IT! The day before. And that was not going to happen again. Ha! Well, I just experienced both ends of the spectrum. I completely missed one opportunity (not only that but looks like maybe the entire start of that trend), then only to get caught with a huge fake out. When I think about it, what’s worse? I think missing an entire beginning of a trend. Cause if the Swiss later on decide on coming back down, I do have another chance to get back in again. And what do I do now with the USD? I mean, is it all or nothing? I do have the entry order still open. But who knows, it just may never get filled. And I just might be looking at the trend take place without ever getting in on it. I have to think about that. A contingency plan of sorts. Well Journal, that’s just where I’m at on that particular scenario. Well, there’s more. I’m gonna ship this out and come back with more. Yeah…the GBP…man, their my arch enemy. I cannot win with them.